The project involves, on the one hand, public research organisations and, on the other, the private sector. 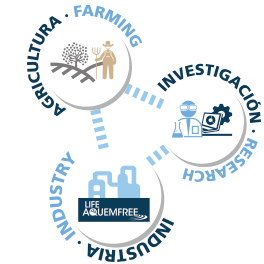 In the case of the latter, more specifically a business from the agricultural sector auxiliary industry and a significant organisation for the agricultural sector in Murcia (Spain). Other partners include representatives of the regional administration involved in Plant Health and Training and Technology Transfer.